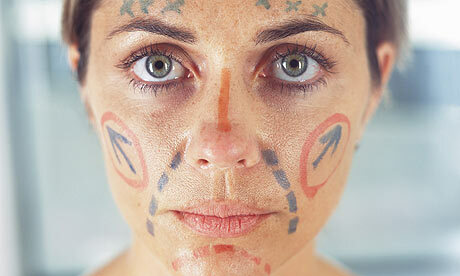 It’s generally more expensive to stay in the United Kingdom if you’re going to undergo a cosmetic surgery procedure. The National Health Service will perform a few cosmetic surgeries for patients that have a demonstrated psychological need to repair or enhance their looks, but other than minor procedures like removing a mole, you’re likely to have to pay for any plastic surgery out of pocket in the UK. Like any surgery in the UK, the United States, or Canada, it’s almost always less expensive to have surgery done in a foreign country if you’re footing the bill. So-called medical tourism is a booming industry, and clinics all over the world offer the most popular surgeries to clients at very attractive prices. Price shouldn’t be the only consideration when you’re planning on something as serious as a surgical procedure, of course. We’ve compiled a short list of three reasons to stay in the UK for your cosmetic surgery in conjunction with Landauer Cosmetic Surgery group, specialists for a number of private hospitals. The cost of getting your cosmetic surgery abroad might be lower than in the UK, but you have to factor in the additional costs that go along with the procedure itself. Travel costs can be substantial, especially if you travel to clinics in the Far East. You’ll also need to have accommodations for your recovery period, which can be lengthy. It’s now common for medical tourism prices to include all these costs together, but the price you see advertised is usually just for the procedure itself. When you compare the total costs, it might not seem as attractive an alternative as staying close to home. Whether you stay in the UK or travel abroad for your cosmetic surgery, there is always a possibility that you’ll suffer complications from your cosmetic surgery. In addition to the standards of the plastic surgeons in the country you’re visiting, you have to take into account the general state of the healthcare system in case there’s a problem. There’s also the feeling of safety and comfort of being at home when you’re recovering from a substantial cosmetic surgery procedure. Many operations require days of rest and recuperation. If you travel overseas for your procedure, you might be spending this period alone in a hotel room in a strange country. Many people find it much more suitable to recover at home where everything is familiar and your family and friends can look after you if necessary. It’s dangerous to look at plastic surgery procedures like a commodity like a television set or a toaster. Even minor cosmetic surgery is still a surgical procedure, and all surgical procedures come with inherent risks. There’s often a reason why surgery in developed countries costs more than in other parts of the world. Standards are higher in the United Kingdom than in many other parts of the world, and not just the standards of practice and training. General standards of cleanliness can be much lower in clinics located in other countries. It’s important to balance the extra cost of cosmetic surgery in the UK with the increased chance of misadventure when you travel overseas for your procedures.